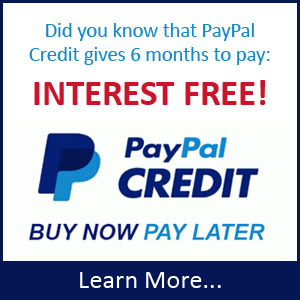 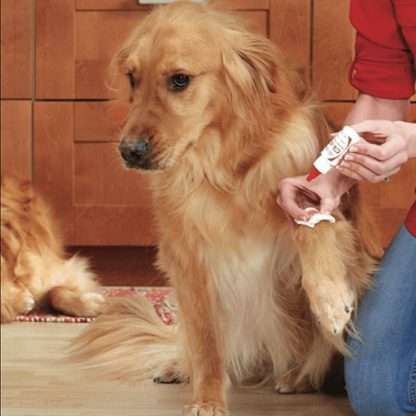 A “Must Have” for all Pet Parents and Professional Groomers! 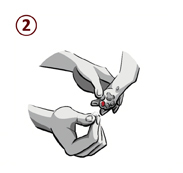 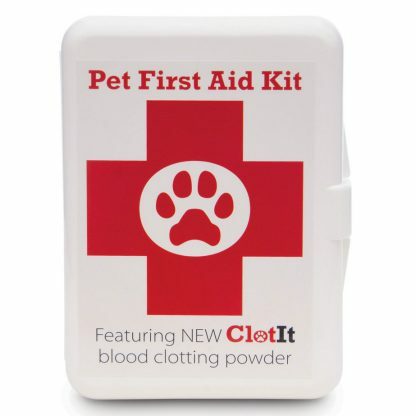 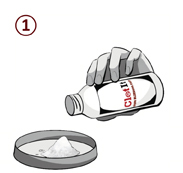 The ClotIt® Pet First Aid Kit is best dog first aid kit. 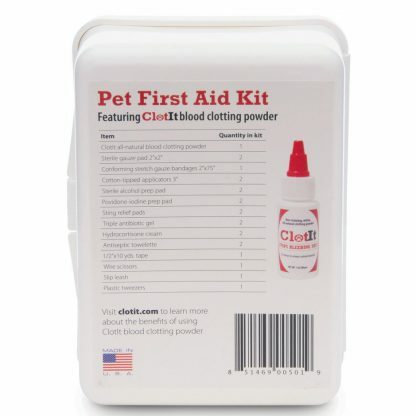 It is the ONLY Kit on the market that has a blood stopping powder included for emergencies. 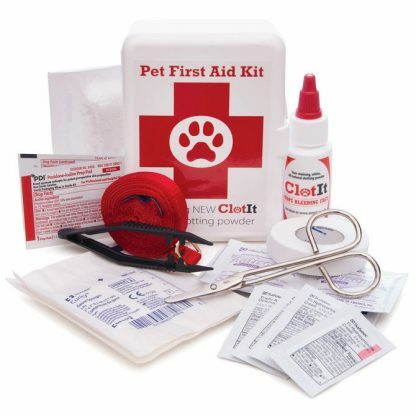 For home, car or truck, or in the field. 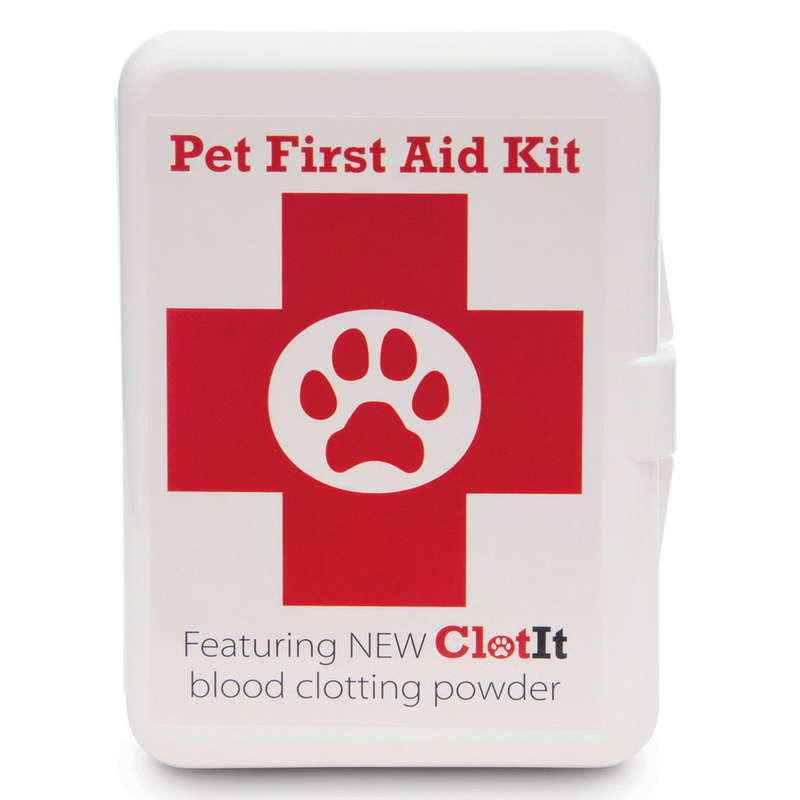 The ClotIt® Pet First Aid Kit will allow you to treat minor wounds or deal with more serious ones while transporting pets for professional help. The abundance of first aid supplies makes this best dog first aid kit. 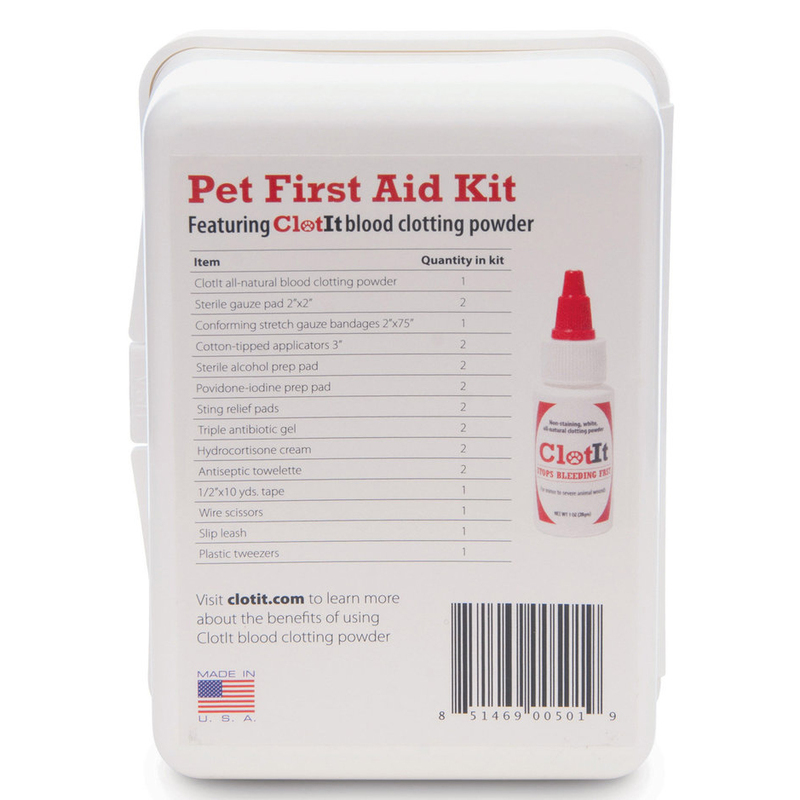 After decades of few alternatives, ClotIt® is a product that the industry has truly been waiting for; it is the best dog first aid kit.